Need a family SUV with seven seats? Bored by what's on offer? SEAT hopes you'll like its offering, the Tarraco. You get Volkswagen Group engineering, sharp styling, plenty of interior space and, the Iberian maker hopes, a dash of Spanish flair. Which this car will need to stand out in its segment. 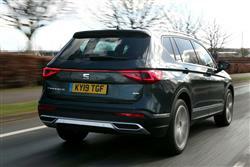 Just how important is it for a mid-range 'D'-segment 7-seat family SUV to be 'sporty'. Not very, according to the key protagonists in this segment. 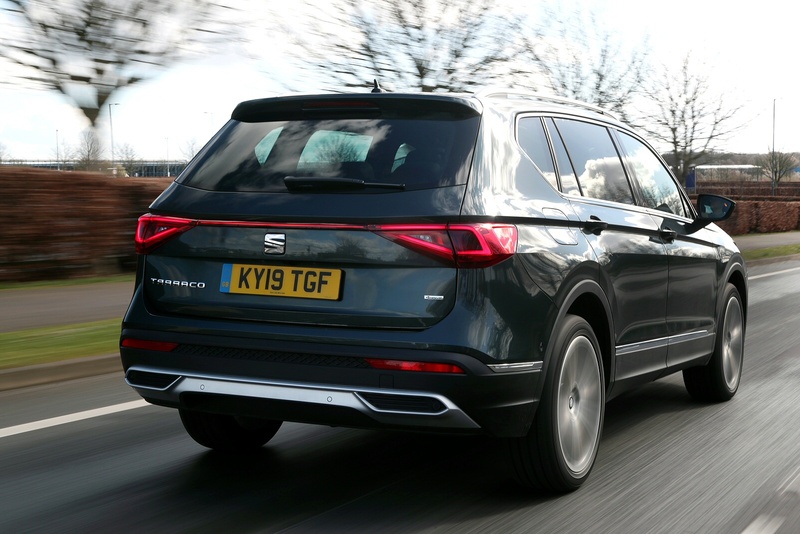 SEAT disagrees and is positioning this car, the Tarraco, as a slightly more responsive choice for folk who want to feel that they're driving more than just a crossover-cultured bus after they've dropped the kids off at school. Of course, the Spanish maker needed something to set this contender a little apart from the mechanically almost identical Volkswagen Group models that share its MQB-A platform, the Skoda Kodiaq and the Volkswagen Tiguan Allspace. It wasn't so very long ago that SEAT didn't have a single SUV in its line-up. 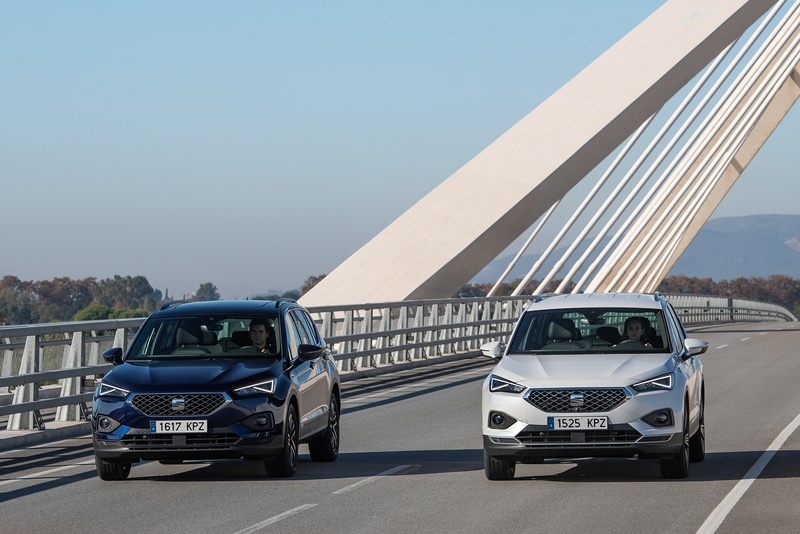 Now, this Tarraco sits at the head of the company's crossover triumvirate that already includes the little Ibiza-based Arona and the slightly larger Leon-structured Ateca. It's the biggest car the brand has yet made and will only be offered in our market with 7 seats. But will it live up to its maker's expectations? Let's find out. 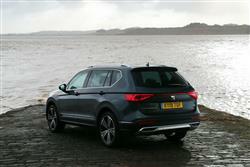 SEAT says it's put a lot of work into driving feedback so that this car will feel 'sportier' than its rivals. The same people who made its smaller Ateca stablemate so alert and nimble claim to have repeated their magic here, with sharp steering and supple multi-link rear suspension which can be enhanced with optional 'ACC' adaptive damping. 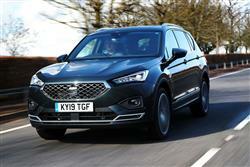 The Tarraco offers four direct injection turbocharged engines, two of them petrol, two diesel. Predictably, we've seen them all before in various VW Group models, things kicking off with a 1.5-litre petrol TSI unit mated to a 6-speed manual gearbox and front-wheel drive. The alternative petrol option, the 190PS 2.0-litre TSI unit comes only in high spec guise with a 7-speed DSG auto 'box and 4WD. Both the diesels are 2.0 TDI unit, the choice being between a 150PS powerplant with front wheel drive and a 190PS variant with 4WD. 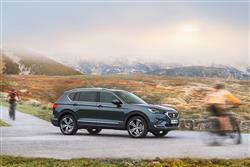 SEAT plans to introduce a hybrid version soon too. If you're regularly going to be using the third seating row and really loading the car up, then the extra grunt of the pokier powerplants will obviously be useful. The 4WD system that these pricier powertrains offer is, as usual in this class, of the 'on-demand' variety, cutting in when a loss of traction is detected. Predictably, the AWD isn't there to enable any sort of prodigious level of off road prowess; there isn't really the ground clearance for that. Instead, this Tarraco is very firmly tarmac-orientated, like SEAT's other SUVs. 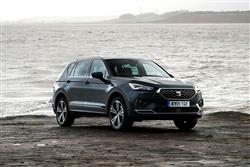 SEAT Design boss Alejandro Mesonero says that the styling of this Tarraco gives 'a hint' to the company's future styling direction. By that, he presumably means that the slightly different design approach that this SUV features in its headlamps and front grille will in future be replicated on other models. The Spaniard claims that the aesthetics will make 'a strong first impression'; you may disagree. What's not up for debate though is that this is a fairly substantial thing by class standards. Measuring in a 4,735mm long and 1,658mm tall, it's 38mm longer than its Skoda Kodiaq class cousin. That and the 2.8m wheelbase facilitate a roomy cabin. 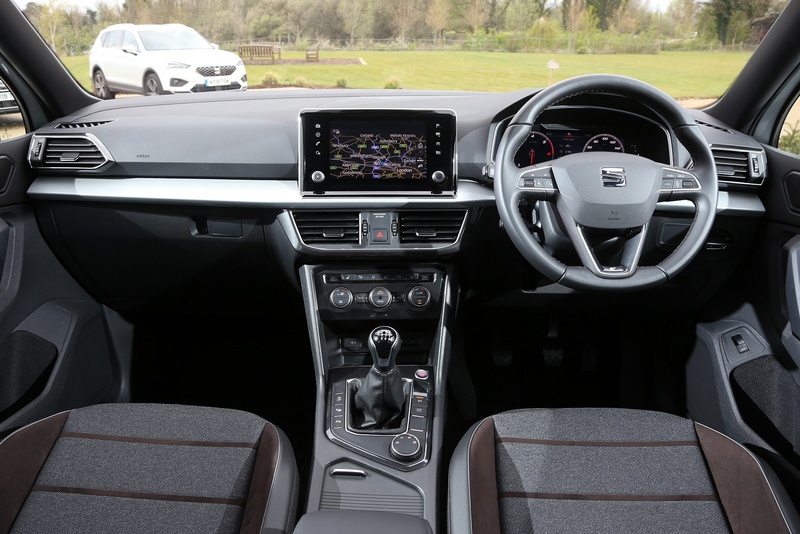 And quite a sophisticated-looking one, thanks primarily to a 10.25-inch digital instrument binnacle and the placement of a 'floating' 8-inch infotainment screen on top of the dashboard. The 10.25-inch digital instrument display you'll view through the steering wheel allows drivers to access everything from classic information found on analogue dials to full-colour maps and navigation. Controlling the information provided is simple and requires the driver to merely press the steering wheel-mounted 'View' control button to scroll through the three different available main displays. What else? Well 2nd row seat room is aided by that long wheelbase, but the third row will suit children only. Out back, there's 700-litre of luggage space, which increases to 1,775-litres when all the seats are folded. 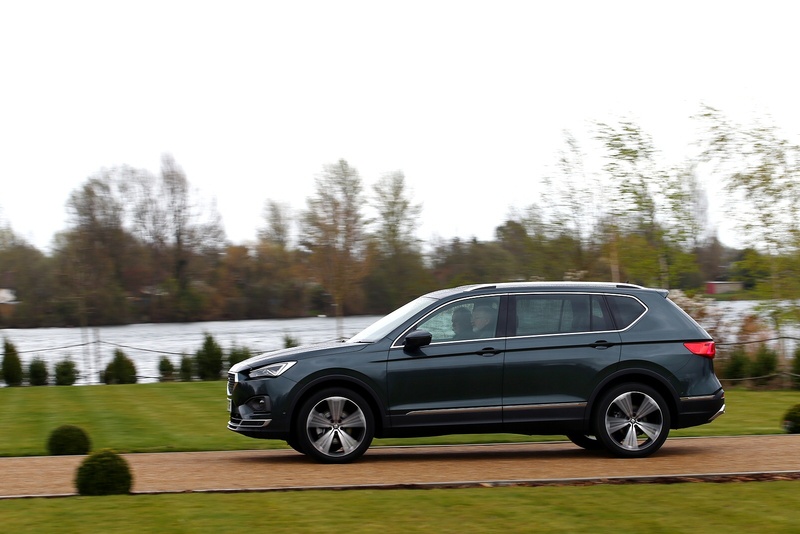 Expect the Tarraco to sell in the £28,000 to £39,000 bracket - so, in other words, there's the same kind of price spread as you'll find on a rival Skoda Kodiaq, though it's one that notably undercuts competitors like Volkswagen's Tiguan Allspace, Hyundai's Santa Fe and even Kia's Sorento. There are the usual 'SE', 'SE Technology', 'Xcellence' and 'Xcellence Lux' trim levels. 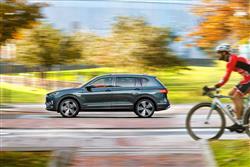 Safety-wise, 'Front assist with bicycle detection', 'Lane assist' and Emergency Call are all standard throughout the range, while Adaptive Cruise Control is standard on the Tarraco in 'Xcellence' trim. SEAT offers a plethora of additional systems too, including 'Emergency Assist', 'Blind Spot Detection and 'Exit Assist', 'Traffic Sign Recognition', 'Traffic Jam Assist' and 'Light Assist' as options, while it has also introduced two new safety systems for the first time: 'Pre-Crash Assist' and 'Rollover Assist'. The Tarraco claims to be extremely well connected too, thanks to its brand's 'Full Link' technology built into its centre-dash infotainment screen, which incorporates 'Android Auto' and 'Apple CarPlay' smartphone-mirroring. Access to calls, messages, music and voice recognition as well as a bespoke 'SEAT Drive' App, means that the Tarraco allows you to network wherever and whenever. In addition, Amazon Alexa is also available to help you manage your personal schedule, play music, navigate to points of interest, request personalised news or find the nearest SEAT dealership. The headline engine is SEATs well regarded 1.5 TSI petrol turbo unit and it should certainly prove to be very frugal. Expect the 150PS version to manage just over 40mpg on the combined cycle and just under 150g/km of CO2. Obviously, the 150PS 2.0-litre TDI diesel will be much better. Expect about 50mpg and about 145g/km. For the 2.0 TSI 4x4 auto petrol variant, you're looking at just under 40mpg and around 170g/km. And for the 2.0 TDI 190PS DSG auto diesel version, the readings will be around 48mpg and about 152g/km. All models get an automatic stop & start system to cut the engine when you don't need it, stuck in traffic or waiting at the lights. 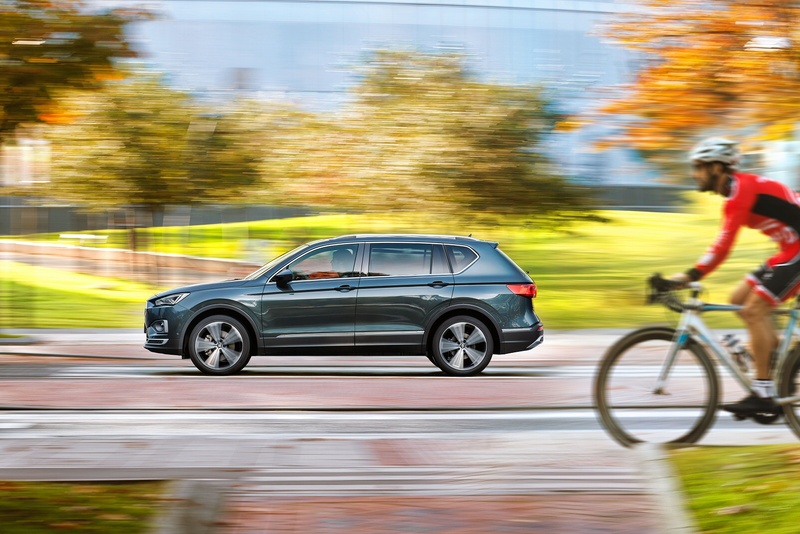 If you want to go further, then you'll need to talk to your SEAT dealer about the Plug-in hybrid variant that's been developed as part of the model range. This, the company claims, will offer an electric driving range of 31 miles and a CO2 output of less than 50g/km of CO2. What else? Well there's SEAT's usual three year/60,000 mile warranty. That's unexceptional when rivals like Hyundai offer five years of cover as standard and Kia offers up to seven years. However, the SEAT deal is extendable, so you might be able to negotiate on that. And it includes two years of Europe-wide roadside assistance. SEAT dealers also offer an 'It's Fixed!' low cost servicing programme. To even out the cost of regular maintenance, you can take up fixed price servicing packages for up to three scheduled halts and they go with the car when you sell it if the balance has still to be used. 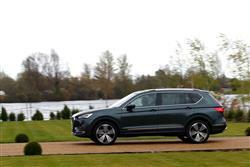 If you�re looking for a new SEAT Tarraco 1.5 TSI EVO SE 5dr Petrol Estate for sale, you�ve come to the right place. At Bristol Street Motors we don�t just have the best SEAT Tarraco 1.5 TSI EVO SE 5dr Petrol Estate deals, we also offer friendly advice and help with all your enquiries to ensure your buying experience is a happy experience.